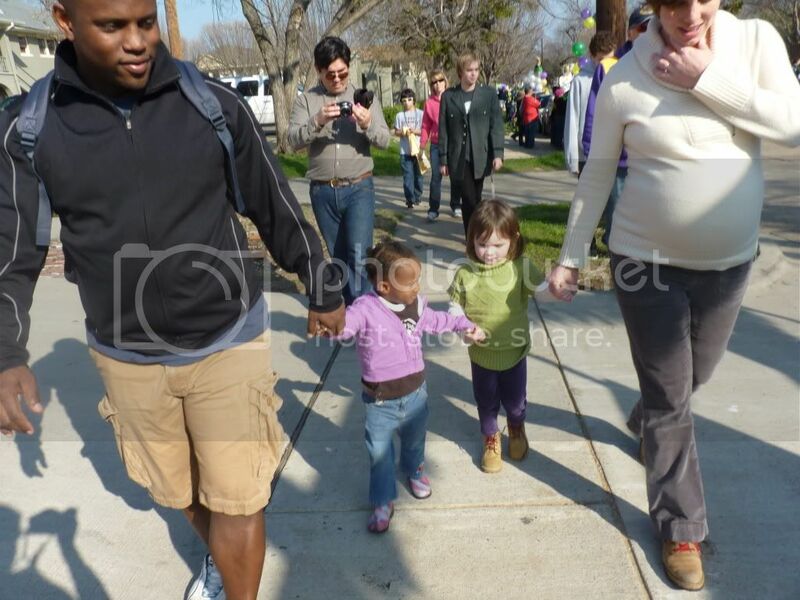 Our neighborhood held its annual Mardi Gras Parade on Sunday and Marlie's preschool had a float. The Art of Peace Community Float. That's us in the middle. Look at me toss those beads! i would love to go to marti gras one year. Love how she's holding hands with her friend! Too cute! It looks like you all had a blast! I LOVE the picture of Marlie and her daddy getting ready for some fun. I've never been to any Mardi Gras celebrations, but I'd LOVe to one day! Look at the big sis. I'm jealous of the weather you are having there. For some reason, all I could think of looking at your man was SPARKLEBATMAN! That's very cool that your neighborhood does a parade. 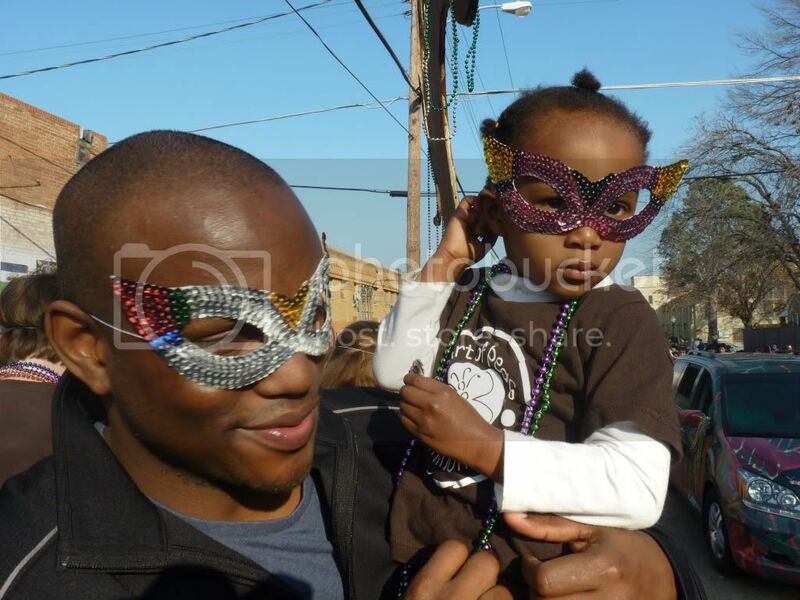 Wish mine did - the Babby loves parades!